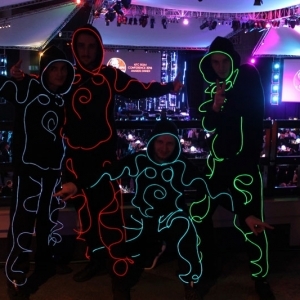 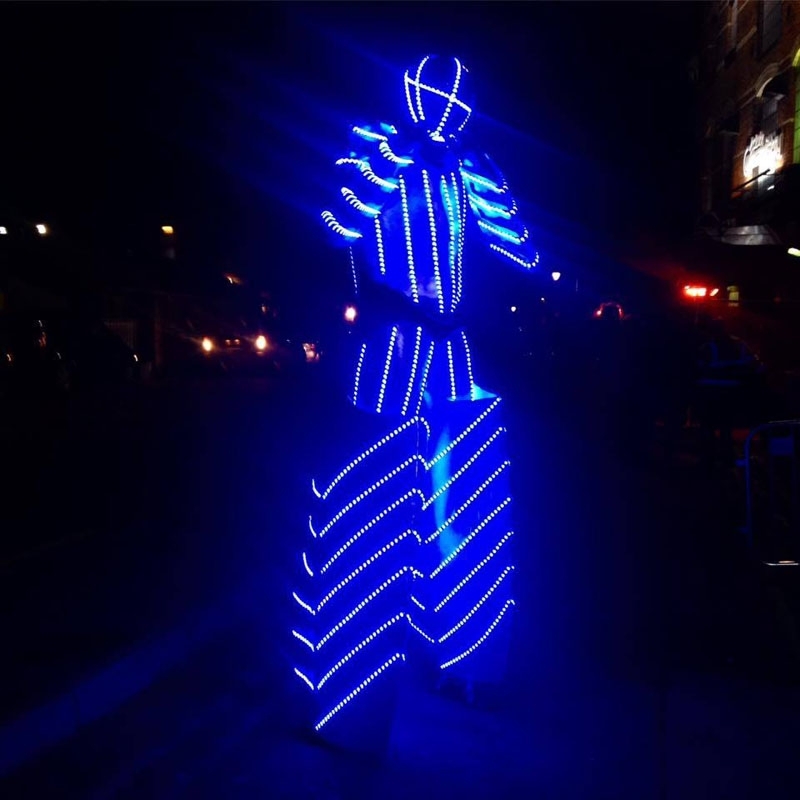 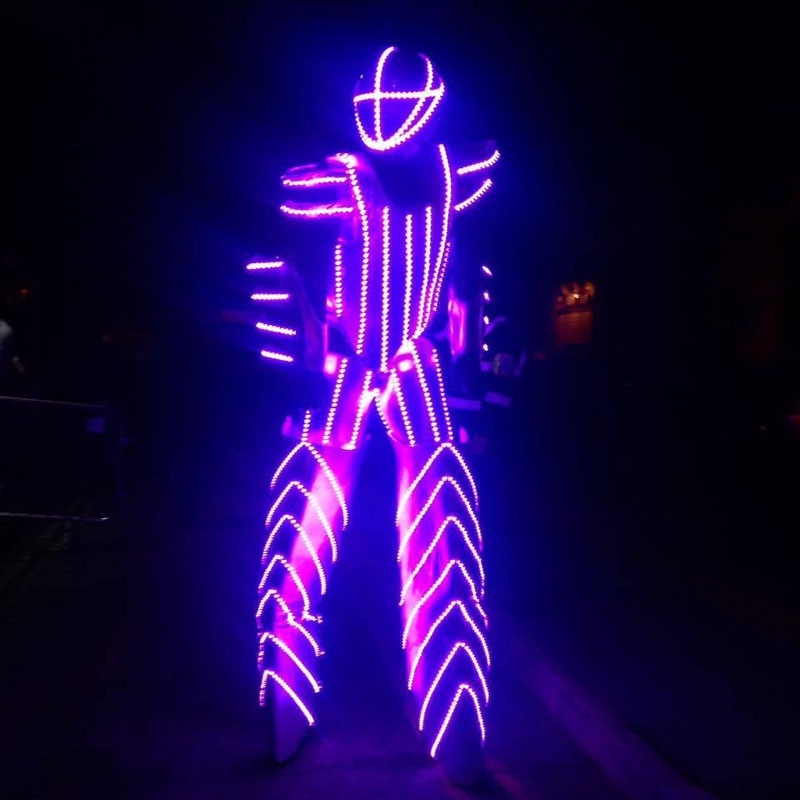 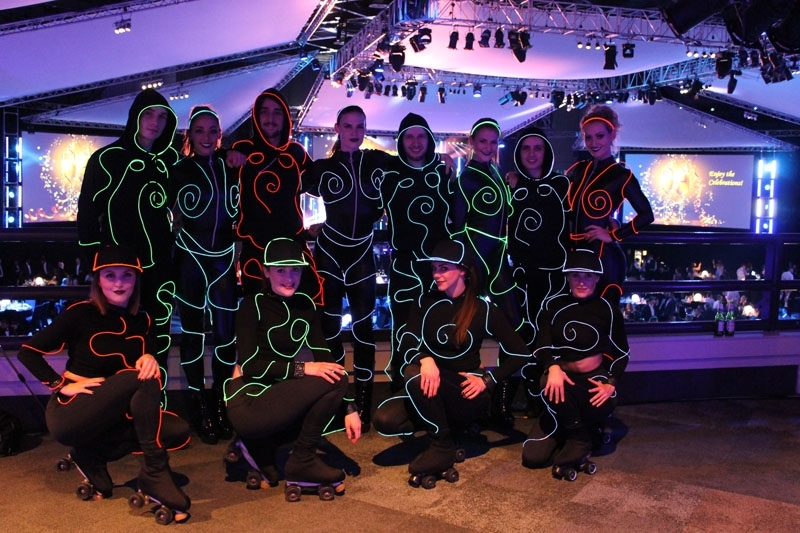 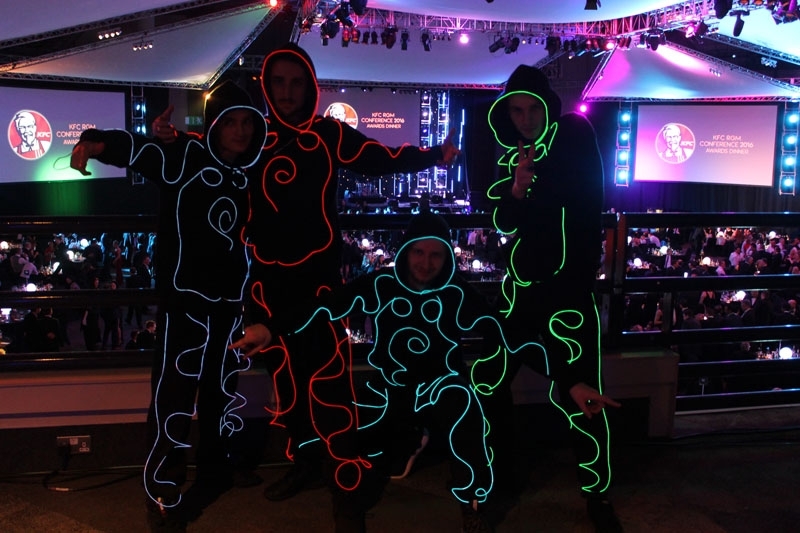 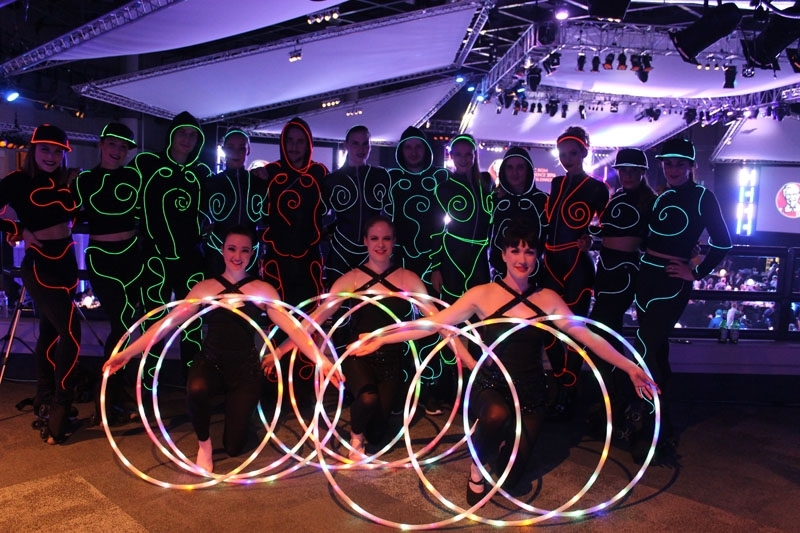 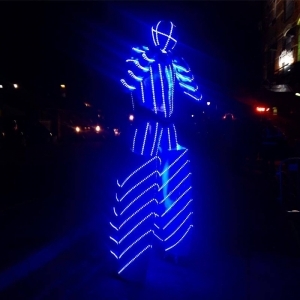 Our incredible custom made LED costumes add some serious wow factor to our futuristic style performance. 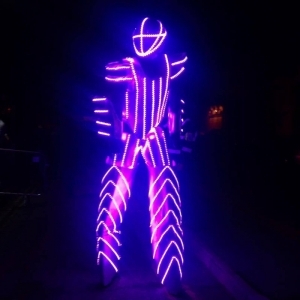 The full show features street dancers, roller skaters, acrobatic LED hula hoop artists and a huge laser-firing robot on stilts! 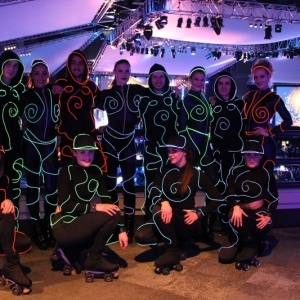 You can hire individual elements of our LED show and scale up or down to match your venue size and budget accordingly. 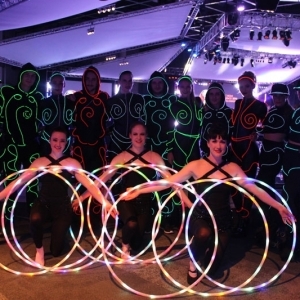 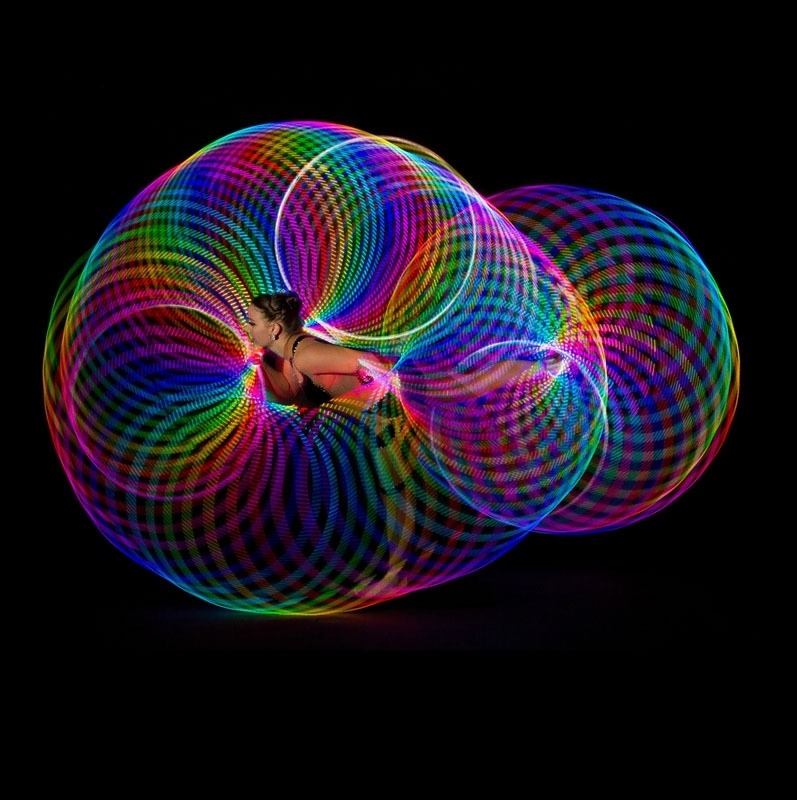 Guaranteed to impress, this is a truly unique and visually spectacular act that will make your event unforgettable. 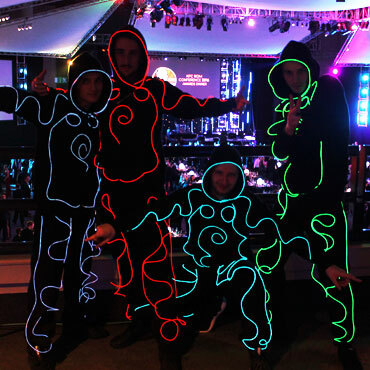 For an LED act with a classical twist, check out our LED Ballerinas.